Akshaya Patra was conferred the Asian MAKE (Most Admired Knowledge Enterprise) award by CII (Confederation of Indian Industry). The award was handed over to Akshaya Patra at the CII National Knowledge Summit 2015. 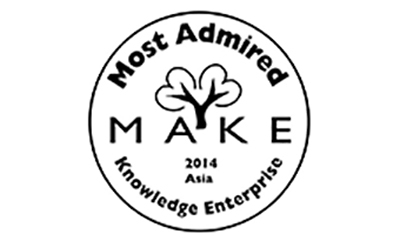 From 68 organisations that were selected to be nominated for the 2014 Asian MAKE awards, 20 were chosen to be winners of the 2014 Asian MAKE study. The criteria for participation were that the organisations had to be founded and headquartered in Asia, and that they had to create and increase stakeholder value through the use new or existing knowledge to create improved products, services and solutions.